Snoring does not necessarily mean that you have a stuffy nose or sinus problem. In fact, chronic snoring may be caused by the anatomy of your airway and throat. NightLase laser treatments are a minimally-invasive approach to effectively treating snoring. Dr. Shin can use this technology to shrink your oral tissues, relieving crowding. This allows more air to pass into your throat during sleep, minimizing snoring. 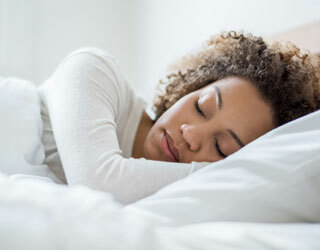 Dr. Shin is happy to work in conjunction with physicians like your sleep specialist, ENT doctor, primary care physician, or pulmonologist in addressing your snoring or sleep issues. The NightLase system usually requires only three treatment sessions over a period of about six weeks. Most patients will require repeat NightLase treatments every year or two. Contact us at (203) 625-0301 for a consultation if you are experiencing snoring, fatigue, or other sleep apnea symptoms. We may be able to help.